Brooklyn Nine-Nine fans are well-used to enduring the ups and downs of their favourite show, both on-screen and off. Just last year, the beloved NYPD sitcom was chopped by Fox, to the shock and fury of everyone. Hope was restored when NBC snapped it up, but it hasn’t been all smooth sailing from then on. 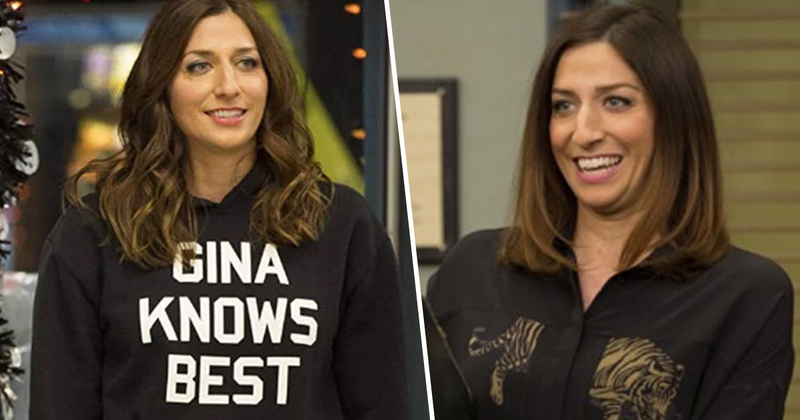 In October 2018, it was revealed Chelsea Peretti – who plays Gina Linetti in the comedic police procedural – would be departing from the show, taking her unique dance talent with her. This sparked online panic over whether this was truly ‘goodbye goodbye’. And it now looks like we might have an answer from Stephanie Beatriz, who plays Detective Rosa Diaz. Chelsea Peretti is a gift from the gods. She really is one of the greats. She’s not really leaving. We are shooting an episode with her coming back very soon. She might not be in every episode, but she’s still very much a part of the world, Gina’s forever in the fabric of Brooklyn Nine-Nine. It just wouldn’t be the show without her, so I think audiences are going to be really pleased to see her come back. We just did that table read the other day and it’s a really fire script. I can’t wait for people to see it! B99 fans. Hiiiiiiiiiiii. Chelsea Peretti, here. I won’t be doing a full season of Brooklyn Nine Nine in Season 6. But that doesn’t mean I won’t ever be back, winky face emoji, heart emoji. I want to thank you for the hours you spent watching Gina be Gina: confident, idiotic-but-smart, pithy, and infused with rhythm and cell-phone radiation. People have truly warmed to the social media obsessed character of Gina and have been throughly cheered up that this won’t be the last we see of the civilian administrator and her caustic wit. One person has hailed Peretti as a ‘queen of the sit-com age’, with many expressing their desire to be more like the hilariously self-absorbed character. For the rest of 2019 we are all gonna be the Gina Linetti of what we do. We gonna be unapologetically ourselves & be proud of it. We are going to be dramatic & extra, but still trustworthy & thoughtful. We’re going to be the human version of the 100 emoji!!!!!! So it looks like it’s not quite goodbye just yet, although fans will no doubt still feel a little blue to be missing out on a full season’s worth of the loveable narcissist. Luckily the world of Brooklyn Nine-Nine is full of eccentric and one-of-a-kind characters to keep us chuckling away in Peretti’s absence. Brooklyn Nine-Nine season six premiered in the US January 10, 2019. A UK release date has not yet been set.